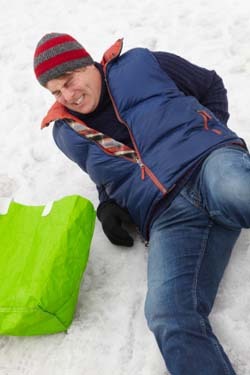 One slip and fall can lead to persistent tailbone pain. Sitting down is painful. Standing up is painful. Lying down is painful. Fortunately, there are three fast, easy steps you can take to not only relieve your tailbone pain, but make sure it never comes back again. Tailbone pain, or coccydinia, is typically caused by inflammation of the coccyx (the tip of the tailbone). Inflammation usually starts due to an injury–such as a fall or childbirth. But it can also occur spontaneously for no apparent reason. Regardless of what caused your tailbone pain, follow these three simple, progressive steps today for quick and lasting relief. When it comes to any kind of pain, there’s no need to suffer longer than you have to. Plus, getting immediate relief for your tailbone pain will make the next two steps much easier to perform. If you’ve been with us for any length of time you already know inflammation is one of the primary causes of most chronic pain. Inflammation is your body’s way of caring for injuries or irritants. However, sometimes the process goes unchecked. The area remains inflamed, fibrin (internal scar tissue) grows wild and the irritant becomes an internal wound that can’t heal by itself. And in order to relieve your tailbone pain, you want that inflammation gone as soon as possible! The fastest way to fight chronic inflammation is with proteolytic enzymes–enzymes that fight inflammation at the root, bust through fibrin, and put your entire system back into balance. You have them in abundant supply in your childhood and teen years but will need a supplement to get their full healing power again by your late 20s. If childbirth, a fall, or another injury caused your tailbone pain, it may never go away by itself. That’s because the problem may be more complicated than a bruise. In the process of the injury, the structural alignment of your muscles and skeleton may have been jarred out of balance–however slightly. Not only will this leave your tailbone in pain, it may lead to other serious back and joint pain in the future. The reasoning behind this is simple: your body works best in a neutral alignment. It wants joints that meet each other perfectly, a spine stacked in its natural alignment, hips level, and so on. Muscles also play a large role. After a tailbone injury, the way you carry your body to walk, sit and perform other activities may cause you to – even imperceptibly – leave the neutral alignment your body seeks. This leads to muscles overused on one side of your body and underutilized on the other. It doesn’t sound like a big deal, but these muscle imbalances, left uncorrected, can cause you to develop long-term postural dysfunctions that weaken your spine and other joints in your body, making you susceptible to back pain and other problems later on. That’s why the final step in relieving your tailbone pain for good–along with any other back, hip, or joint pain you have as a result–is to fix any structural problems you have developed. Our best-selling Lose the Back Pain® System helps you self-identify each of the four major postural dysfunctions you may have at any time. It walks you step-by-step through pain reduction strategies then gives you the specific stretching and strengthening exercises – based on your current alignment – to restore the neutral alignment you need to relieve pain and enjoy full health. By implementing this trifecta of tailbone pain treatment – immediate pain relief, reducing chronic inflammation, and rebalancing your body to a neutral state – you’ll not only cure your tailbone pain, you’ll also relieve other painful conditions you’ve been suffering with for good!